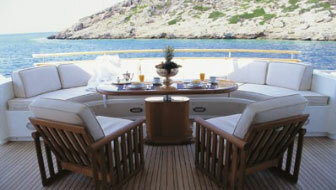 All inclusive yacht charter prices include Crew members (Captain and Chef). This price includes all meals (unless specified), such as breakfasts, lunches and dinners, all prepared to the client’s preferences. It also includes water, beverages, Open Bar (alcoholic beverages) and snacks*. Fuel for boat and dinghy is comprised as well, the same as onboard activities, and Captain and Chef services. Any other additional service, such as airport transfer and onshore excursions are not contemplated in the yacht charter packages. The charter fee does not include scuba diving, scuba equipment unless specified. Usually, the embarkation and disembarkation marina for your yacht charter will be up to your choice. Remember, dockage is not included in the charter fees, meaning that if you desire to be docked at a marina, we’ll be happy to make a reservation in advance (with an extra cost). Dockage availability might be tight during peak season, so we suggest to book with time if you want to be docked in a specific marina. Some boats are located in specific Ports, however, if you wish to embark elsewhere they may pick you up in your preferred location with a relocation fee cost. Some yachts include the Cruising taxes and permits in the yacht charter price, and some others don’t. This will depend on each boat. Nevertheless, this cost is not very high (for example: BVI Cruising Tax: US$2/person/day, BVI Departure Tax: US$20 per person). One month prior to your yacht charter trip you will receive a Preference Sheet. Here you will be able to describe your preferences in food, beverages and activities, this way Crew members will organize your trip according to your best choices! Click here and check out how does a preference sheet form looks like! The Crew will take care of provisioning, cooking and cleaning, you and your group should only be willing to relax and enjoy the trip. The professional Crew members will attend to all of your group’s needs and desires. You’ll feel like in a 5 star Hotel, luxury and comfort all together! This option is the highly recommended for your yacht charter trip, if you are looking to relax and enjoy your holidays without thinking about any additional expense, as everything is included! Check out all our All Inclusive yacht charter prices HERE, and start searching for the yacht that most suits you and your party! *Premium wines and champagnes, and most top-shelf alcohol and liqueurs, as well as premium foods, ie: lobster, imported caviar, special steaks, etc. and/or excessive food and/or alcohol consumptions, are all available at cost. Some boats offer this option as an alternative to All Inclusive. It includes the same as the All Inclusive yacht charter prices, with exception in the amount of meals included. Usually all breakfasts are included, as well as 4 lunches and 3 dinners. The remaining meals must be taken ashore at clients expense. This option is recommended if you are planning to have some lunches or dinners ashore. If you enjoy eating ashore at different restaurant and clubs on the islands, Half board yacht charter prices are a great option for you! Some of the yachts are flexible and will accept a half board plan tailored specifically to what you like. Just choose the yacht you most like at Ritzy Charters and we may request this information for you! This is a basic price, where the Yacht, onboard activities and the Crew members are the only things included. The rest of the provisions and charter-related expenses are paid separately. The APA (Advance Provisioning Allowance) is a program that essentially creates a bank account for the Captain to purchase provisions, fuel, dockage, food, beverages, bar, and other consumables on the charterer’s behalf. It is generally estimated at 15%–25% of the base charter fee for the Sailboats and at 30%-35% of the charter fee for the Motor Boats. The Captain will keep all receipts and a running balance of your account, so you can check expenditures at any time. Any amount not used will be refunded to you at the end of the charter. If during the charter the costs have exceeded the collected APA, then additional funds will be required for the outstanding bills. All purchases are transparent and nothing is marked up. The APA is used purely for your provisions and charter-related expenses. This option is mostly used for Motor Boats charters, as fuel is the most expensive consumable and is difficult to estimate its cost in advance. The price will depend on the itinerary you are planning, if you wish to cruise more hours, the yacht charter prices will be higher, than if you just sail for a few hours a day. However, it is very difficult to exceed the 35% APA, because usually no one sails all day long, as it is also nice to enjoy the sea, beaches, and surroundings too! Captain Only yacht charter packages are the same as the previous (“plus running expenses”), but this time, only the Captain is included in the rate, there is no other crew member. This means guests will be invited to participate on the boat’s activities, such as cooking, cleaning, etc. The experienced Captain will show you how to make the boat sail if you so desire. He will also take full responsibility if anything were to happen. Some of the yachts have the option of including a first mate or hostess, which can be aboard to assist the Captain, depending upon the season and/or number of guests. Christmas week charters go from Saturday to Saturday. New Years week charters go from Sunday to Sunday. Holiday time is peak season and there is a high demand for charters, therefore our recommendation is to start your search with time so you get to chose the boat you most like for your yacht charter vacations! Charters taking place in the Mediterranean should consider the yacht charter prices plus VAT (that is the same as Tax for Europe). 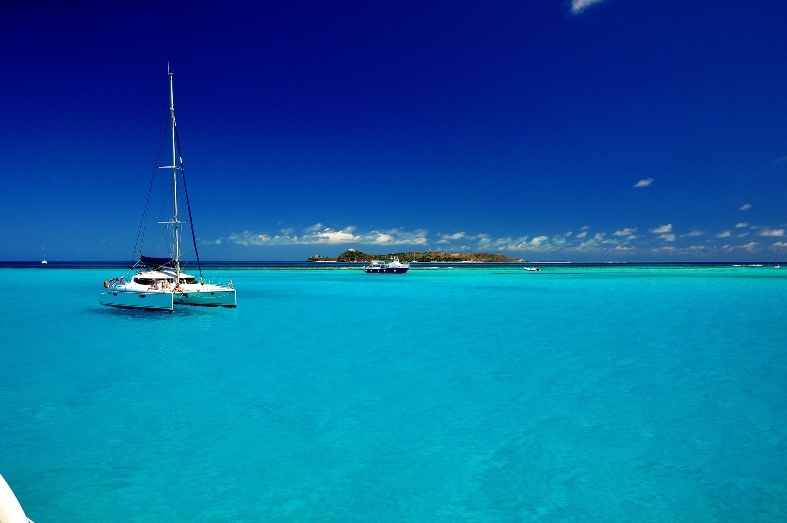 For all charters taking place in the Bahamas, there is an additional cost of 4% Bahamian Tax. In all the yacht charter prices Crew Gratuity is not included in any price, unless specified. It is at your discretion, but typically suggested is 10% to 20% of the rate. 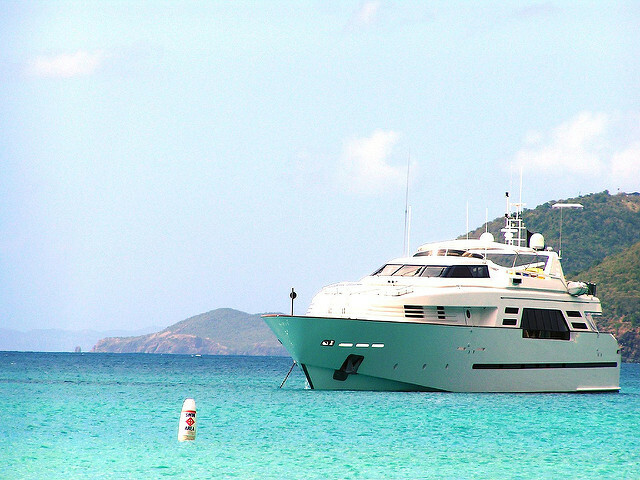 Now that you know the differences between the yacht charter prices, what are you waiting for? 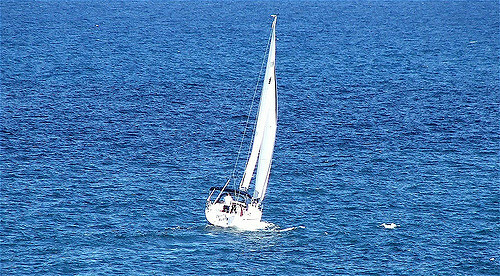 Start your yacht search at Ritzycharters.com and find the best option for you!